Alcohol cravings are strong urges to drink that can be triggered by internal states or external objects, situations, or people. They are a common experience for people trying to quit drinking. A number of techniques, particularly those drawn from cognitive behavioral therapy, can help people cope with cravings. Medications may also be helpful. Cravings can arise in response to a variety of thoughts and feelings – ranging from the positive to the negative – and may register as a near-irresistible urge to drink alcohol. Cravings are like a tug of war between the part of you that wants to stop drinking and the part that still wants to feel alcohol’s pleasurable effects. Though cravings can be tempting, they do not have to lead to relapse. Why Do I Crave Alcohol? Cravings can arise from a combination of various internal and external triggers. Internal triggers are thoughts and feelings that make you want to drink. For example, feeling angry or upset can lead to a craving. External triggers are outer circumstances that remind you of drinking. These include associations between alcohol and certain people, places, and things, such as loud music or the sight of a bar. Cravings are a normal experience, especially in early recovery. Some people may be more at risk of having cravings, especially those with severe alcohol dependence and mental health issues.2 Even though experiencing cravings can be distressing, being aware of them is the first step in learning how to manage them. Alcohol cravings are strongest in early recovery and tend to decrease over time. Cravings may last for a few years after quitting drinking. Alcohol cravings are a unique experience for each individual and will depend on many factors. Alcohol cravings can be uncomfortable, especially during early recovery. The first step in managing cravings is becoming aware of your personal triggers. What people, places or things give you the urge to drink? Once you are aware of your triggers, you can decide how you want to deal with them. For some triggers the best plan is to avoid them, especially in the beginning. For example, some people find that they need to avoid social gatherings with alcohol. Reach out to a sponsor or other sober support. Attend a 12-step or other recovery meeting such as Alcoholics Anonymous. Use distraction by changing the scenery or engaging in a hobby. Avoid stressful situations during an intense craving. Create a set of flashcards with actions to take during a craving. The best defense against a craving is having a plan in place. This prevents you from being blindsided by a craving’s intensity and gives you a sense of control over the situation. Coping flashcards are one way of preparing for a craving. Create a set of flashcards with actions for you to take during a craving. This can include positive affirmations and statements like “this will pass” and “you can do this.” You can also write down the reasons why you want to be sober, the goals you hope to accomplish and coping skills you can use. Often during a craving, the brain is so distressed that it isn’t thinking rationally. Coping flashcards help you think before you act. The activating event is the situation that occurs before the craving. This could be attending a party with alcohol or being overlooked for a promotion. The consequence can be an emotion or a behavior, or both. The belief “I’m never good enough” could lead to feeling bad, which could lead to drinking behavior. It can be helpful to record your cravings in a log to see where and when they occur. This will increase your awareness of your cravings and reveal any patterns. Acamprosate (trade name Campral) works by alleviating the psychological symptoms that can cause alcohol cravings, including anxiety, irritability, and depression.10 Acamprosate’s precise mechanisms aren’t entirely understood but may result from a restoration of the balance between excitatory and inhibitory neurotransmission in the brain that has been disrupted by heavy alcohol use. Research has found that acamprosate can be even more effective when combined with naltrexone. 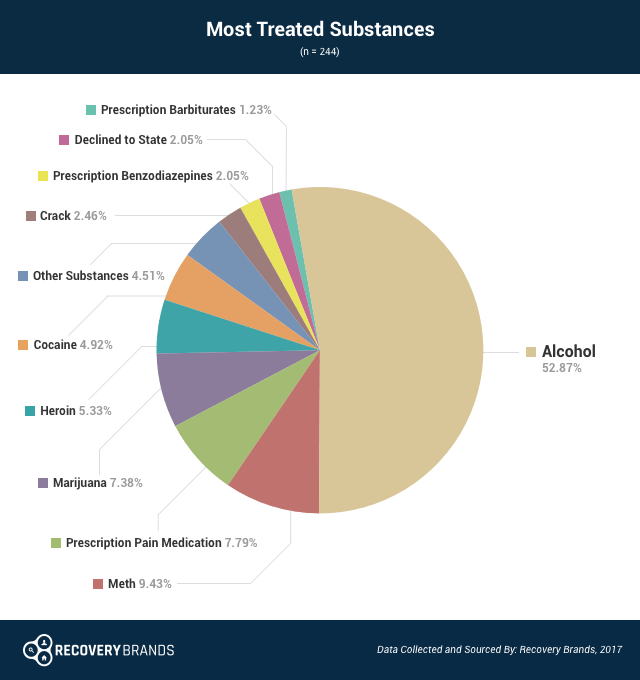 Ethanol, or alcohol, is the top abused substance for addiction treatment attendees, as a survey conducted by Recovery Brands in 2017 shows. Nearly 70% of respondents cited alcohol abuse as one of the reasons they sought treatment, and nearly 53% of respondents said that alcohol was the substance that they sought the most treatment for. Out of all abused substances, alcohol seems to cause the most widespread harm. Choose complex carbohydrates over simple carbohydrates. Simple carbohydrates cause blood sugar levels to increase and decline rapidly. When blood sugar is low, cravings for alcohol can increase. Foods rich in fiber like whole grains, oatmeal and brown rice help regulate blood sugar levels. Eat more fruits and vegetables. Fruits and vegetables are filled with vitamins that protect the liver and replace nutrients that were lost during heavy drinking episodes. Vitamin supplements can also provide nutrients that you may not be able to get from foods. Consider kudzu extract. Kudzu extract, as an herbal remedy, has shown mixed results for alcohol recovery. 15 Some studies report that it may reduce the amount of drinking, but not necessarily cravings for alcohol. Alcohol withdrawal begins after your last drink. It causes a series of physical and mental symptoms that can impact cravings. Cravings can occur during any stage of withdrawal. Alcohol withdrawal typically occurs in 3 stages. Though not every individual quitting alcohol will experience stage 2 or 3, medication is frequently administered to help prevent them. Stopping cold turkey is never recommended with alcohol. Stage 1 begins within the first 5 to 8 hours of the last drink. 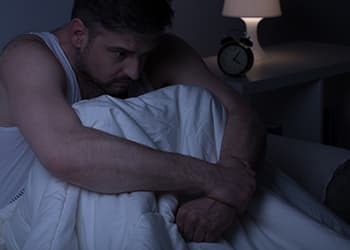 It involves anxiety, restlessness, nausea, loss of appetite, trouble sleeping, sweating, mild tremors, and rapid heart rate. Stage 2 begins about 24 to 72 hours after the last drink. Symptoms include increased restlessness and agitation, increased tremors, hallucinations, disorientation, sweating, nausea and vomiting, diarrhea, rapid heart rate, and seizures (usually grand mal). Heavy drinkers who are not treated have a 25% chance of experiencing grand mal seizures 1 to 5 days after they stop drinking. Loss of interest in things that were once enjoyable. Persistent and obsessive thoughts about alcohol. Benzodiazepines. 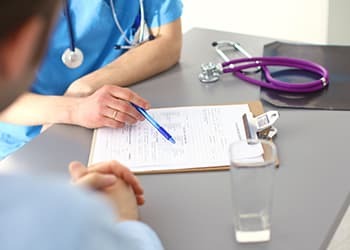 Under medical supervision, benzodiazepine drugs such as Valium, Librium and others can help to manage both the unpleasant and the potentially dangerous symptoms of acute alcohol withdrawal. Beta blockers. Beta blockers are effective in reducing mild to moderate withdrawal symptoms but there is not clear evidence on whether they help with seizures or delirium from withdrawal. Carbamazepine. Carbamazepine is an anticonvulsant used to treat seizures, nerve pain and bipolar disorder. There is some evidence to suggest that carbamazepine may be as effective as benzodiazepines for treating people with mild to moderate alcohol withdrawal symptoms. Clonidine. Clonidine is an antihypertensive and sedative used to treat high blood pressure. Haloperidol. Haloperidol is an antipsychotic that is used to help calm people who are going through alcohol withdrawal. Phenytoin. Phenytoin is an anticonvulsant that can be used to help prevent seizures during alcohol withdrawal. Cravings are especially common during the first year of abstinence and may continue for several years. Alcohol cravings may never go away completely. But with practice, they can feel less intense. Alcohol is positively reinforcing. 3 This theory states that alcohol increases positive feelings and decreases negative feelings. When people experience pleasure from drinking, they will be more likely to drink. Over time certain objects, feelings and places also become associated with the pleasurable effects of drinking. This explains why passing by a bar or seeing a bottle of alcohol can lead to a craving. Self-efficacy, or a belief that a person can cope with life’s stressors, affects experiences of cravings. 4 According to self-efficacy theory, people who have high self-efficacy have greater confidence that they can cope effectively with cravings. People with low self-efficacy doubt their ability to cope with cravings and are more likely to relapse. If a person in early recovery has low self-efficacy, he or she may experience cravings with greater intensity and find them more distressing. Drinking can become an automatic habit. 5 When a person is blocked from indulging in the automatic habit of drinking, the desire for alcohol increases. For example, a person’s cravings may intensify after learning that the liquor store is closed. Another explanation for alcohol cravings has to do with how the brain responds to alcohol. 6 Alcohol’s pleasurable effects are accompanied by an activation of the reward center of the brain – instrumental in the formation of emotions, learning and memory consolidation. Heavy alcohol use can lead to long-term changes in these nervous system functions, potentially rendering a person more susceptible to relapse. Why Do I Get Cravings at Night? Some people in recovery find that they have cravings at the same time each day. If you drank at night, then you may have learned to associate the nighttime with feeling drunk. This can cause cravings for alcohol at night. Are Cravings Caused by Increased Serotonin? There is some controversy surrounding the theory that serotonin is associated with alcohol cravings.19 More research is needed to form a definitive conclusion about whether serotonin increases alcohol cravings. One research study concluded that serotonin contributes to cravings. 20 Another study looked at the effect of fluoxetine (Prozac) – an antidepressant that affects serotonin levels – on cravings. 21 The study found that taking fluoxetine was associated with less drinking and less cravings for alcohol. Why Do I Want to Smoke When I Drink? Genetics. One explanation is that specific genes cause some people to be more vulnerable to becoming addicted to alcohol and tobacco. This is called cross-tolerance. Unconscious associations. Another explanation is that people unconsciously learn to associate alcohol and cigarettes with one another. For example, if you regularly smoke cigarettes while drinking at a bar, you will find it very difficult to be at the bar without doing both. Even though craving cigarettes and alcohol together is common, people who quit alcohol and tobacco at the same time are more likely to be successful in recovery.
. Bayard, M., Mcintyre, J., Hill, K. R., & Woodside Jr, J. (2004). Alcohol withdrawal syndrome. American Family Physician, 69(6), 1443-1450.
. Litt, M. D., Cooney, N. L., & Morse, P. (2000). Reactivity to alcohol-related stimuli in the laboratory and in the field: Predictors of craving in treated alcoholics. Addiction, 95(6), 889-900.
. Singleton, E. G., & Gorelick, D. A. (1998). Mechanisms of alcohol craving and their clinical implications. In Recent developments in alcoholism (pp. 177-195). Springer US.
. Bandura, A. (1999). A sociocognitive analysis of substance abuse: An agentic perspective. Psychological Science, 10(3), 214-217.
. Rohsenow, D. J., & Monti, P. M. (1999). Does urge to drink predict relapse after treatment?. Alcohol Research and Health, 23(3), 225-232.
. Koob, G. F. (2000). Animal models of craving for ethanol. Addiction, 95(8s2), 73-81.
. Kadden, R. (1995). Cognitive-behavioral coping skills therapy manual: A clinical research guide for therapists treating individuals with alcohol abuse and dependence. Rockville, Maryland: National Institute on Alcohol Abuse and Alcoholism.
. Balldin, J., Berglund, M., Borg, S., Mansson, M., Bendtsen, P., Franck, J., Willander, A. (2003). A 6-months controlled naltrexone study: Combined effect cognitive behavioural therapy in outpatient treatment of alcohol dependence. Alcohol Clinical Experimental Research, 27(7), 1142-1149.
. Johnson, B. A. (2007). Naltrexone long-acting formulation in the treatment of alcohol dependence. Therapeutics and Clinical Risk Management, 3(5), 741-749.
. Boothby, L. A., & Doering, P. L. (2005). Acamprosate for the treatment of alcohol dependence. Clinical Therapeutics, 27(6), 695-714.
. Florez, G., Saiz, P. A., Garcia-Portilla, P., Alvarez, S., Nogueiras, L., & Bobes, J. (2011). Topiramate for the treatment of alcohol dependence: comparison with naltrexone. European Addiction Research, 17(1), 29-36.
. Addolorato, G., Caputo, F., Capristo, E., Colombo, G., Gessa, G. L., & Gasbarrini, G. (2000). Ability of baclofen in reducing alcohol craving and intake: II-Preliminary clinical evidence. Alcoholism: Clinical and Experimental Research, 24(1), 67-71.
. Leevy, C. M., & Moroianu, S. A. (2005). Nutritional aspects of alcoholic liver disease. Clinics in Liver Disease, 9(1), 67-81.
. Biery, J. R., Williford Jr, J. H., & McMullen, E. A. (1991). Alcohol craving in rehabilitation: assessment of nutrition therapy. Journal of the American Dietetic Association, 91(4), 463-466.
. Lukas, S. E., Penetar, D., Berko, J., Vicens, L., Palmer, C., Mallya, G., Lee, D. Y. W. (2005). An extract of the Chinese herbal root kudzu reduces alcohol drinking by heavy drinkers in a naturalistic setting. Alcoholism: Clinical and Experimental Research, 29(5), 756-762.
. Ussher, M., Sampuran, A. K., Doshi, R., West, R., & Drummond, D. C. (2004). Acute effect of a brief bout of exercise on alcohol urges. Addiction, 99(12), 1542-1547.
. Driver, R. Understanding and managing alcohol withdrawal syndrome. American Nurse Today.
. Bayard, M., Mcintyre, J., Hill, K. R., Woodside Jr, J. (2004). Alcohol withdrawal syndrome. American Family Physician, 69(6), 1443-1450.
. Atigari, O. V., Kelly, A. M., Jabeen, Q., & Healy, D. (2012). New onset alcohol dependence linked to treatment with selective serotonin reuptake inhibitors. The International Journal of Risk & Safety in Medicine, 25(2), 105-109.
. Krystal, J. H., Webb, E., Cooney, N., Kranzler, H. R., & Charney, D. S. (1994). Specificity of ethanollike effects elicited by serotonergic and noradrenergic mechanisms. Archives of General Psychiatry, 51(11), 898-911.
. Gorelick, D. A., & Paredes, A. (1992). Effect of fluoxetine on alcohol consumption in male alcoholics. Alcoholism: Clinical and Experimental Research, 16(2), 261-265.
. Drobes, D. J. (2002). Concurrent alcohol and tobacco dependence: mechanisms and treatment. Alcohol Research and Health, 26(2), 136-142.